"If I could possess only one super power, it would have to be the ability to stop time. Time is a precious commodity so the power to stop it could serve so many purposes. The opportunity to savor some of life’s great moments a little bit longer or to help fight the good fight would be too meaningful to pass up. Plus, it would probably go a long way in keeping me out of trouble around the house from time to time." Jim joined SFP Wealth in April 2017 as a Financial Associate. He brings over ten years of experience in the private wealth management industry and has a passion for helping individuals and families achieve their financial objectives. With a background in investments and client services, Jim’s focus is on ensuring that clients understand every facet of the design, implementation and monitoring of their financial strategies. 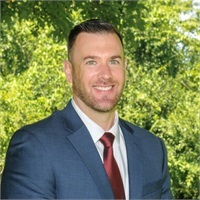 Jim graduated from Union College in 2004 with a Bachelor of Arts in Political Science and later earned his MBA from the Questrom School of Business at Boston University. Jim is a CERTIFIED FINANCIAL PLANNER™ practitioner and holds the Series 7 and 63 licenses as well as his Life, Accident and Health licenses. Jim currently resides in Newton with his wife and two sons. When not chasing his sons around the neighborhood, Jim enjoys staying active at the gym and catching up with friends and family. A former collegiate baseball player, you can still find him on diamond during the summer months trying to relive past athletic glory in the Boston MSBL. Jim is also an active member of the Corpus Christi - St. Bernard Parish in Newton.